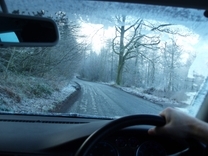 January has seen some extremely cold temperatures, with icy conditions, frost and darker evenings a challenge on the road. For all drivers and road users, it is extremely important importance of appropriate engine oil and coolant selection in helping to keep customers’ vehicles on the roads as the cold weather begins. This advice follows the bitter cold and snow chaos that the ‘Beast from the East’ brought to the country earlier this year and recent reports suggesting that the UK and potentially Ireland could be hit by up be a lengthy period of snow. Engines have to work even harder during cold weather, and lubricants and coolants play a crucial role in maintaining the reliability of vehicles. Low temperatures reduce the effectiveness of oil and make it thicker meaning circulation through the engine is not as efficient as thinner oil, which can lead to damage to the components, and even a failure to start. The entire Total Quartz range offers excellent engine protection, reduced component wear, enhanced fuel economy and improved performance. It also features Age Resistant Technology (ART) which fights against friction, corrosion, and deposits within the engine and therefore reduces potential cold start issues. As well as oil, it is also essential to check the coolant level and concentration regularly during the cold months to ensure protection at sub-zero temperatures. Coolants are a necessity all-year-round, but the winter brings significant challenges that can affect the performance of the cooling system, making it more challenging to start vehicles on freezing mornings. The cooling system helps prevent damage caused by freezing, cavitation, corrosion, overheating and the formation of deposits. Should the cooling system not function correctly, the engine will begin to fail, as could the radiator, water pump, head gasket or engine block. In the worst-case scenario, the engine could overheat and seize. Total Lubricants provide a suite of premium quality and officially approved OEM (Original Equipment Manufacturer) products for cars and an array of other vehicles. The range, which is formulated based on Organic Acid Technology (OAT), includes both ready-to-use and concentrate types and many products that protect against freezing, even in temperatures as low as -37°C. 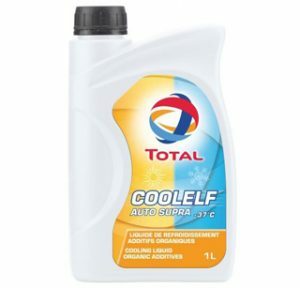 Total Glacelf and Coolelf coolants contain the additives required to protect a full range of different types of vehicles while providing exceptional performance in freezing temperatures. 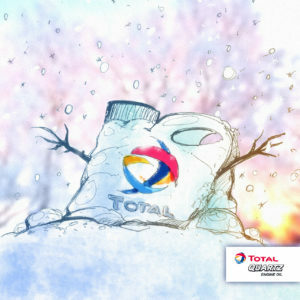 The Glacelf SI-OAT is the concentrate which is added to de-mineralised water at different concentrations to give the desired low-temperature operation: freezing point -20°C at 33% and -37°C at 50%. This product is a ‘very-long-life’ antifreeze made of monoethylene glycol, while the Coolelf SI-OAT -37°C is pre-mixed ready for use. Finol Oils are the National partner of Total Lubricants in Ireland, providing a nationwide distribution and technical service for over 40 years. To find out more about the range of Coolelf/ Glaself Coolants and Total Quartz Engine Oils, contact the Finol team at 01-455 5484 or go to www.finol.ie/contact-us.